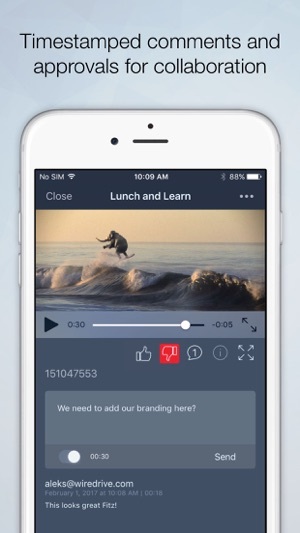 Wiredrive Go is the place for you to safely view secured media presentations of videos, photos, docs, and other files that are shared with you. 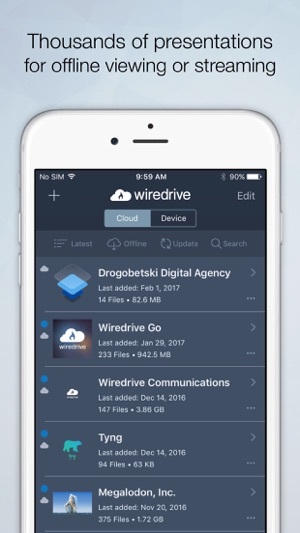 It’s simple and easy to share large files that require extra levels of security and protection, even if they don’t have a Wiredrive account. You can view the presentation when you're online and if you're on-the-go make the presentation or specific media files available offline. 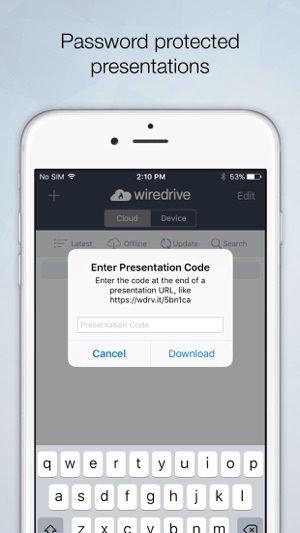 Keep 1000's of presentations in Wiredrive Go Cloud, which are always available to you - unless the presentations owner expires it. How is it 2018 and this is not a feature. Definitely going to use dropbox until this is a feature. I thought the first version was pretty decent after the initial updates but it lacked any real way to search, manage, organize or share in a meaningful way. 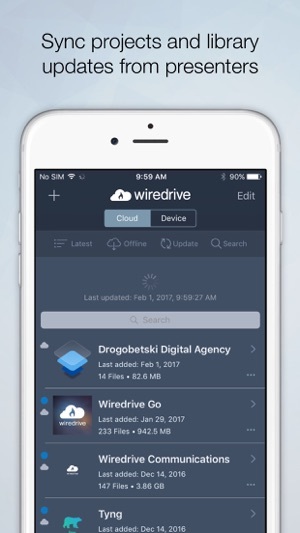 Wiredrive Go 2.0 is a full overhaul. I can organize all reels sent or received by company, updating them via the refresh button and choosing what I want stored locally or want to stream. Photo review, swiping between spots, images, pdfs is improved and I have more confidence that I have an offline option at the ready when I head out to meet a client. 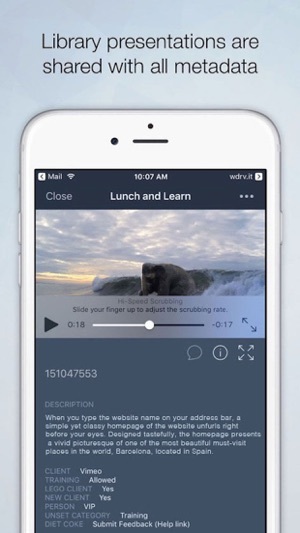 I can't wait for 360, markup and everything else Wiredrive is cooking up to hit mobile. It's taken them time to rebuild to a point where they can release new stuff, and it's clear to me that they are ready to deliver. Make it happen!!! We all benefit. (Super fan, again). © Wiredrive & IOWA, LLC. All rights reserved.